Need freedom from addiction? Want to be Biblically mentored through life’s issues? 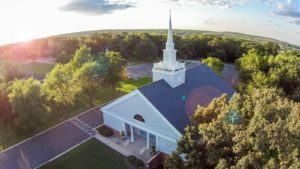 Independent Baptist Church offers Freedom That Lasts, a Christ-centered, Bible-based discipleship ministry. Come learn how you can win life’s battles through Jesus Christ. The group meets at 406 Boughton Road, Bolingbrook, every Thursday evening at 7:00 p.m.
“Freedom” has been a blessing to me. I was hesitant at first, but everyone was incredibly welcoming and friendly. It was very encouraging and impressive to me how “real” people were. It became the highlight of my week. When I first heard that “Freedom That Lasts” would be starting up at IBC, I knew it was something that I should get involved in. I was well aware of areas of my life in which I needed considerable growth, but I was regularly failing. After I started attending FTL, God used the other people there to encourage me and point me to Christ. I found myself becoming accountable to others at our weekly meetings, spending more time meditating on the Bible, and noticed God slowly changing my thinking. I’m so thankful for FTL and for how God has used it to help me grow. I’ve been going to “Freedom That Lasts” for over a year now, and I can honestly say I’ve learned so much about how we react, and how we should react, to addictions. The program uses a student manual with different levels and a spiritual life journal to keep track of our progress. The foundation of this program is based on saving faith, virtue, knowledge, self‑control, endurance, godliness, brotherly kindness and love. We study through the steps by reading verses that pertain to each step, memorizing verses that we can use during times of trial or temptation, and applying them to our personal lives. Each week we check in with a small group to keep each other accountable, where we also disciple and share prayer requests. Pastor Jack then gives a short Bible study, which we are all free to discuss or ask questions. This class reminds us that God’s Mission on earth is to redeem and restore fallen people to the likeness of His Son, to the praise of his glory.